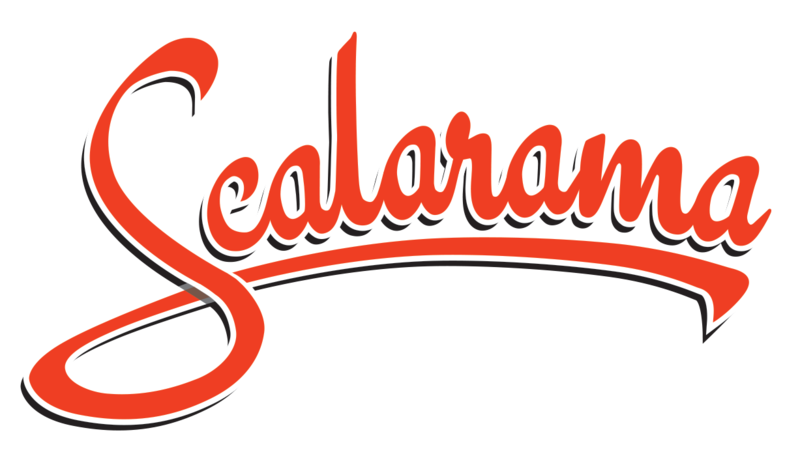 Scalarama is a month-long homage to the spirit of London’s dearly departed Scala Cinema, celebrating independent cinema by promoting DIY events, pop-up screenings and generally making no distinction between high and low art, all in the name of a borderline-worrying obsession with moving pictures. Scaledonia, meanwhile, is the nickname for the Scottish arm of the festivities, encompassing events taking place this September in Edinburgh and Glasgow. Launched during last year’s Scalarama, Edinburgh’s VHS Trash Fest (Ed Blackburn and Movern Cunningham) are bringing their operation West for the first time with this killer double bill. In their own words, “VHS Trash Fest embraces the under-dog, celebrates the Z-grade and worships the worst that gloriously bad films have to offer.” The Video Dead involves a malevolent TV spewing zombies into the real world and what Bloody Disgusting ranked as one of their “Top Ten Most Awesome Chainsaw Scenes“. Death Wish 3 marks the moment the franchise shifted gears and leaned into the complete absurdity of its continued existence. Strange Vice’s day job is a thoroughly awesome (mostly) online store/rabbit hole/inescapable vortex of cult, horror, weird and psychotronic cinema. On the side, the specialise on pop-up cinema events, screening expertly curated mutant cinema programmes, from original prints in unusual venues. This one is in a “proper” cinema, but to compensate they’re screening an original Video Nasty, banned and once considered so egregious its distributor was sent to prison for refusing to edit it. Take One Action runs from Wednesday 16th across Edinburgh and Glasgow, but launches in Glasgow with THE PRICE WE PAY at GFT on Thursday 17th (Facebook). Take One Action is Scotland’s global action cinema project linking audiences, movies, campaigners and communities to inspire shared solutions to global injustice. Harold Crook’s The Price We Pay (2014) is a documentary exposing tax-dodging multinationals. Matchbox Cineclub presents HOUSE (1977) at The Old Hairdressers (Facebook). This is Radical Film Network’s response to the disillusionment – not to say creeping horror – felt by many following the sweeping victory for the Conservative Party in the most recent election. In their own words, the’ve selected this programme to demonstrate “the power that the people have when they unite over a common cause for a collective struggle.” A Time Comes is Nick Broomfield’s documentary on the legal travails of six Greenpeace volunteers tried for their actions protesting the building of new, coal-based power stations. McLibel (Franny Armstrong, Ken Loach) likewise documents the defence of activists sued by McDonalds for disseminating literature critical of their healthy, delicious and not at all horrific food, business practices and production methods. The inaugural SQIFF launches on Thursday 24th with DYKE HARD (2014) and also includes Lock Up Your Daughters’ WHAT HAVE I DONE TO DESERVE THIS? (1984) / DESPERATE LIVING (1977) double bill at CCA on Saturday 26th. There are loads more great screenings and events besides – check out the full programme here. Alright, this is the one you ABSOLUTELY CAN’T MISS – the mighty Hercules Returns has been out of circulation for almost 20 years and is not even available on DVD in this country. The story revolves around the efforts of Brad McBain, the disaffected employee of a major film distributor who quits to reopen an old repertory cinema. When his old boss sabotages opening night, Brad and his colleagues have to improvise a live script for an old Italian b-movie. The resulting film is 80% hilarious dub parody and 20% swashbuckling satirical battle for the future of independent cinema. Yes, I’m biased, but this an UNMISSABLE MUST SEE. This entry was posted in Edinburgh, Glasgow, Preview and tagged 2015, Cinema, Film, Glasgow, Movies, Pop-Up Cinema, Scalarama, Scalarama2015, Scaledonia, Scotland, September. Bookmark the permalink.